The PowerVault is the ultimate storage case for the GoPro user. 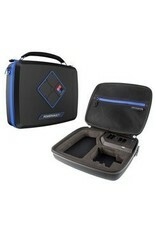 The case has a built in battery charger for 2 x Hero3/3+ or 2 x Hero4 batteries. The rechargable 5200 mAh provides enough power to charge your GoPro battery 5 times. Also included is a full size USB port for charging other devices or plugging directly into the camera. The PowerVault provides custom fitted slots for one GoPro camera and ample storage for accessories. A water resistant shell and zippers provide protection against water or snow. 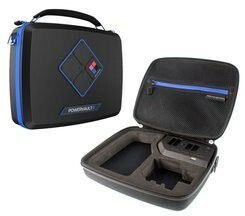 The PowerVault is the most innovative and functional camera case on the market. Stay powered on your next adventure with the PowerVault.